This section provides children and young people with special educational needs and disabilities and their parents and carers with further information on travelling in and around North Lincolnshire. If your child has a statement of special education needs, and is not able to walk to school or to travel on the school bus, they may be entitled to free school transport, even though you live within walking distance or your child is not attending their local school. The policy is set out in the home to school transport policy for pupils with special educational needs [PDF, 141Kb]. Students over the age of 16 with disabilities, who attend a college or sixth form, may also be entitled to help with their transport costs. Further information regarding transport is available on the School Transport webpage and the Post 16 Transport page. 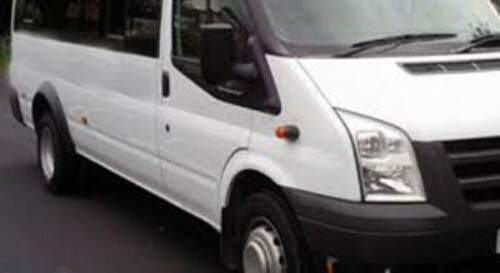 Information on transport for pupils over 16 with disabilities is also available. The Blue Badge Scheme allows eligible people with severe mobility problems to park close to places they are visiting. Details of the Blue Badge Scheme and how to apply are available here. Tourism for All is a national charity dedicated to eliminating barriers to participating in tourism for disabled children and young people and their parents and carers whether they are looking for a suitable break, holiday or a simple day trip. North Lincolnshire Council has introduced the Max Card to families who are registered on the Disabled Children’s Voluntary Database. The Max Card is a discount card for families of children with additional needs and for foster families. Families simply show their Max Card upon entry to a venue in order to obtain free or discounted admission. The scheme is designed to help these families save money on great days out. The Max Card is free. To request a Max Card please get in touch with the Short Breaks team on 01724 407988. Check out all the information about MAX cards on the website. Also the frequently asked questions section.